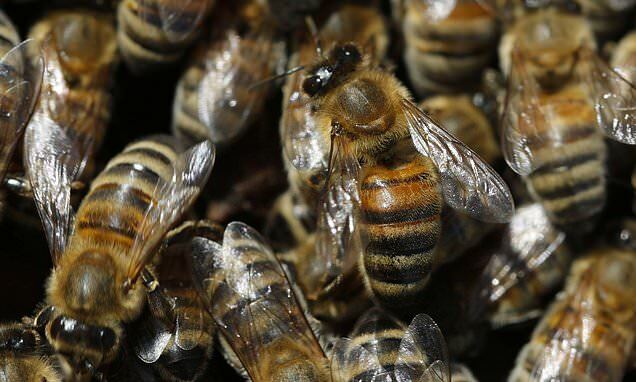 Impatient honeybees make a drumming noise to get younger members of the hive to work harder, scientists have revealed. The first extensive recordings of the insects' dorso-ventral abdominal vibration (DVAV) signal have been analysed by researchers at Nottingham Trent University. They reveal that the bees most experienced at foraging transfer the noisy message by vibrating their abdomen while grasping another bee with their legs. It can also be passed on through vibration directly onto the honeycomb or by the transmitter bee flying around the hive repeatedly deploying the sound. Though it is difficult to determine the effect on individual bees, the strategy has been shown to activate the colony as a whole. The DVAV signal has been known to biologists for about 90 years and some have captured video of it being produced. But previous studies have only monitored bees for short periods during the day.